Y’all know by now that I love finding new, exciting products to try not only for myself but to also share with you. At a recent pool party, a friend brought homemade Popsicles that were held in this perfectly genius idea, a Zipzicle! Essentially, a Zipzicle is a Popsicle shaped, ziplock-like bag for easy, at home, frozen treat making. I immediately knew I had to get get my hands on some and, in turn, share the results with you all so I wrote Zipzicles and they were kind enough to send me some to try out. Naturally, my first thought was to make booze Popsicles because let’s be honest..what is better on a hot summer day? Besides a trip to Alaska, of course. For this recipe I took inspiration from several sources online but made it my own so I could be sure to use local Dallas spirit, Equality Vodka, who donate a portion of sales from each bottle to the advancement of LGBT equality. 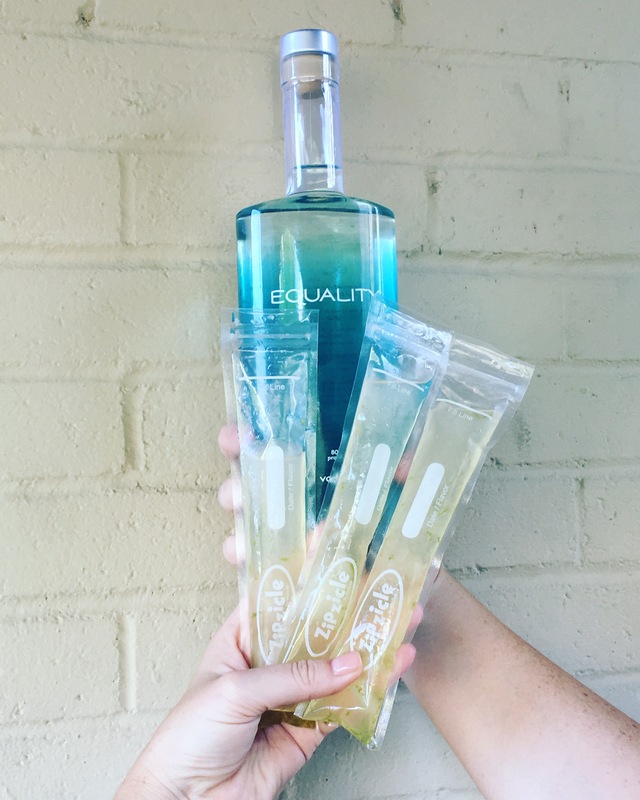 Equality Vodka can be found at select Sigel’s, Goody Goody, Dallas Fine Wine & Spirit OR, better yet, ask your favorite neighborhood liquor store to order it for you so this awesome company with an incredible mission can continue to grow! 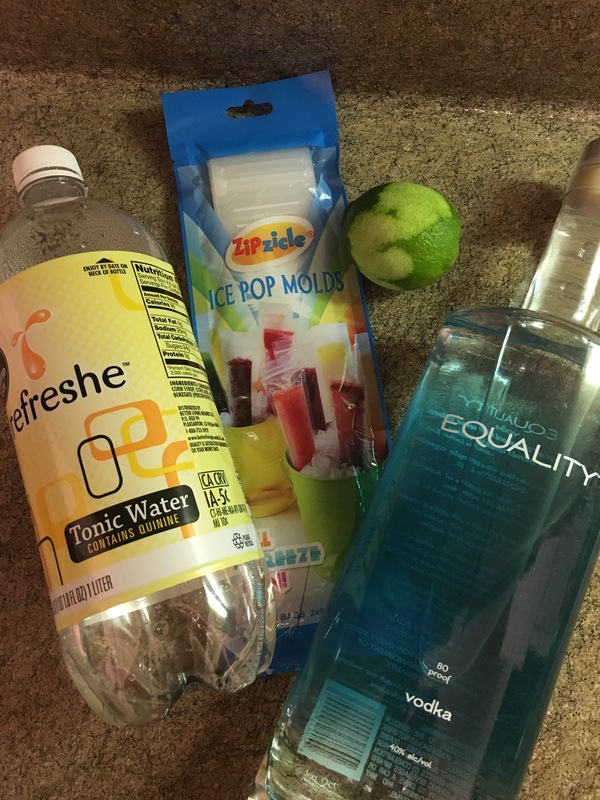 So, here you have it – my Vodka Tonic with a Lime Twist Zipzicle Boozy Popsicles. Whew! That’s a mouthful! Combine all ingredients in a bowl or large pitcher and distribute evenly into Zipzicles. Freeze for at least 6 hours but preferably overnight. Serve and enjoy!